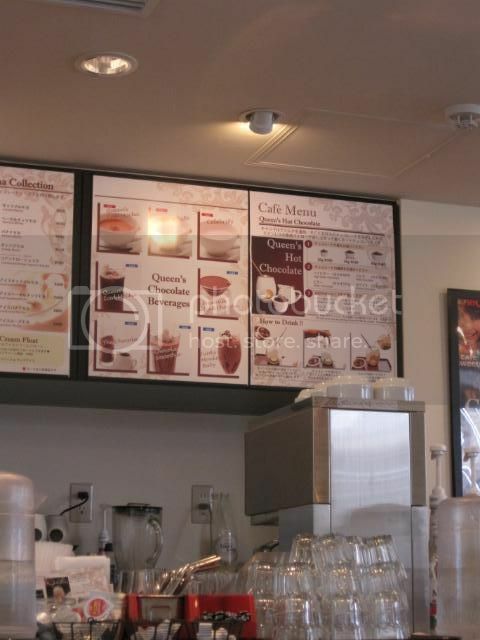 This post's theme is: cafes! 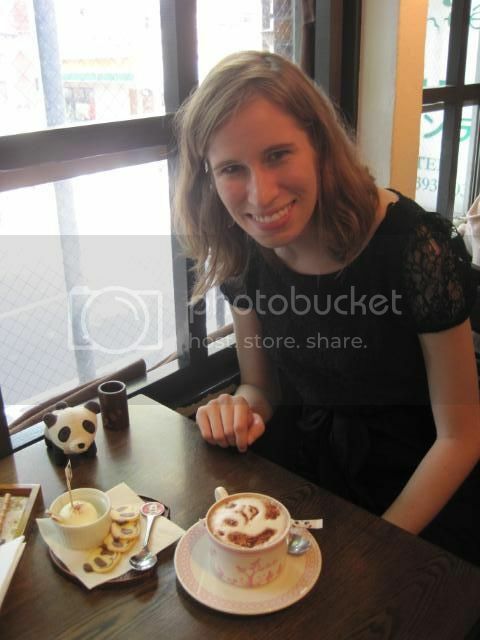 The huge variety of cafes is one of the few things I like about Tokyo. But let me tell you, going out to them too often can kill your wallet. My finances are in dire straits right now, not just thanks to cafes, so hopefully some sort of income source will materialize when I get back to the US... Food is expensive, and coffee is expensive, and guess what my favorite things are? Going to eat food and going to drink coffee. Now that I've vented my financial stresses, cafes. 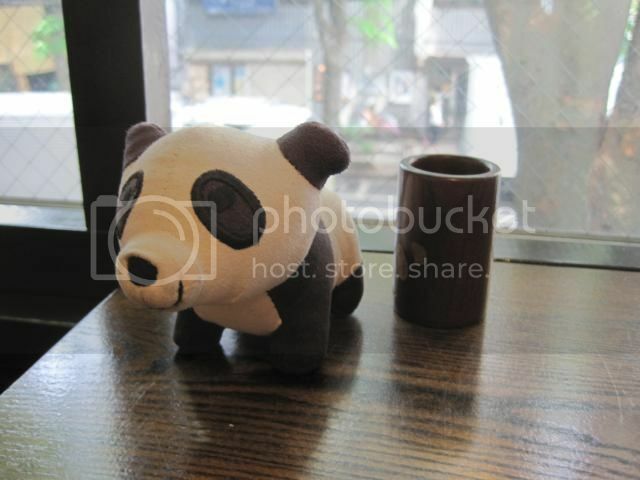 First of all, I went to Daikanyama, near Shibuya, with one of my friends, as part of my mission to explore Tokyo for cute cafes. 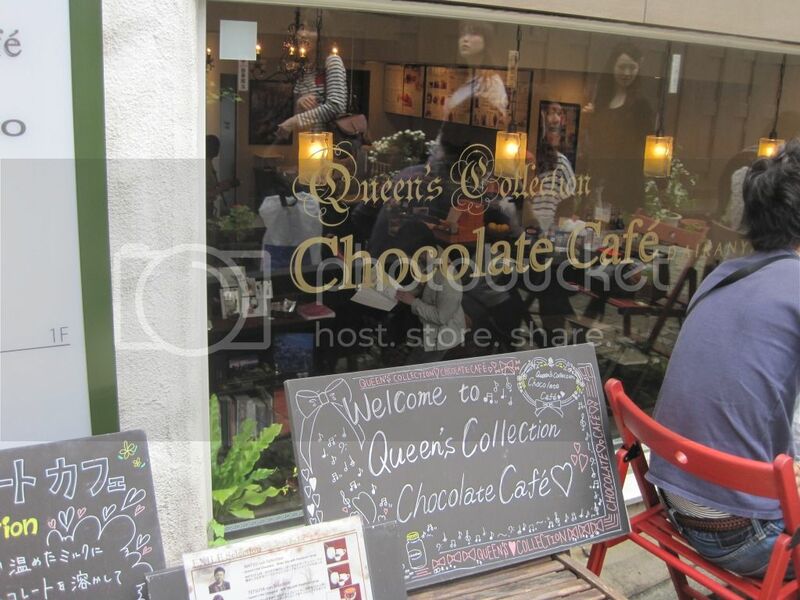 The first place we found when we got there was The Queen's Collection Chocolate Cafe. So, naturally, we had to go in. Their big thing is hot chocolate. You pick the bitterness of your chocolate, and then you get a candle/fondue pot thing and milk and you heat it up and mix it yourself. 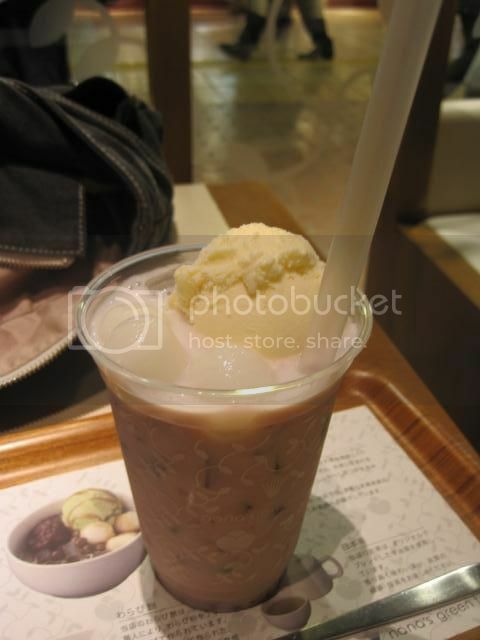 I really wanted to try it, but the day my friend and I went it was too hot so... I got hot coffee... because that makes sense. 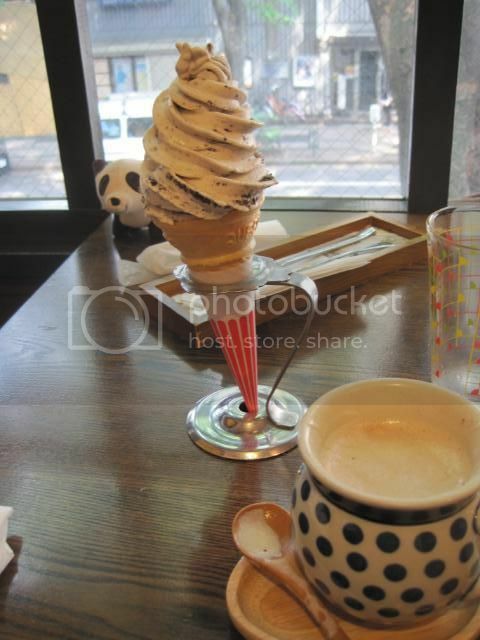 I kinda really want to go back on a cold rainy day and try that hot chocolate. 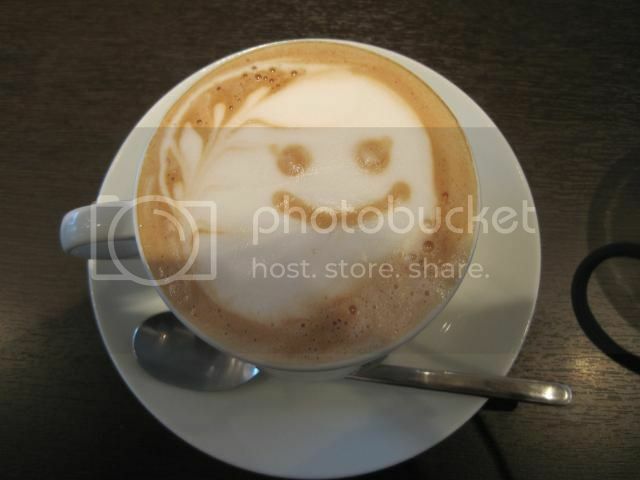 But look how happy my orange mocha was! I ordered an orange mocha, and it took me a while before I realized that all of the orange was at the bottom. But after I stirred it it was delicious! 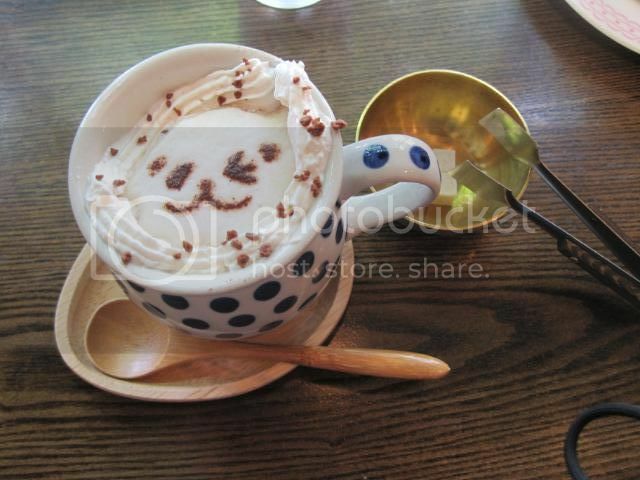 And the cafe was pretty adorable. Occasionally Tokyo rewards me with places like Daikanyama, where the streets are wider and not that crowded and there are cute cafes everywhere, including places that look like old-fashioned sweet shops on the inside and are devoted to chocolate. Yeah. And then the rest of Tokyo continues to be Tokyo and it figures that the part I end up being charmed by is like... not at all thrifty. 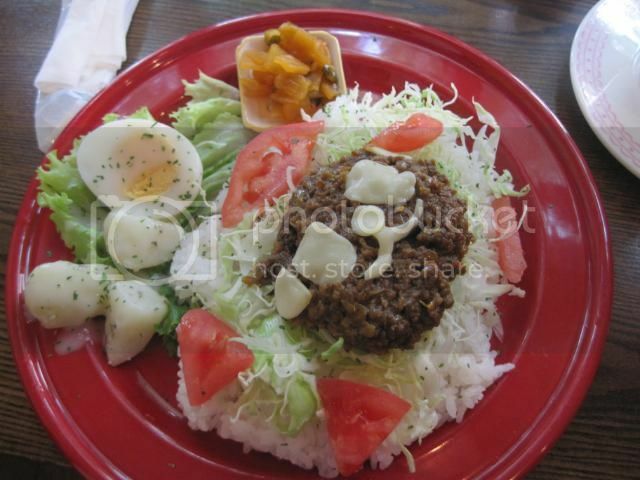 So yeah, I've gotta go back to Daikanyama at least one more time before I leave. 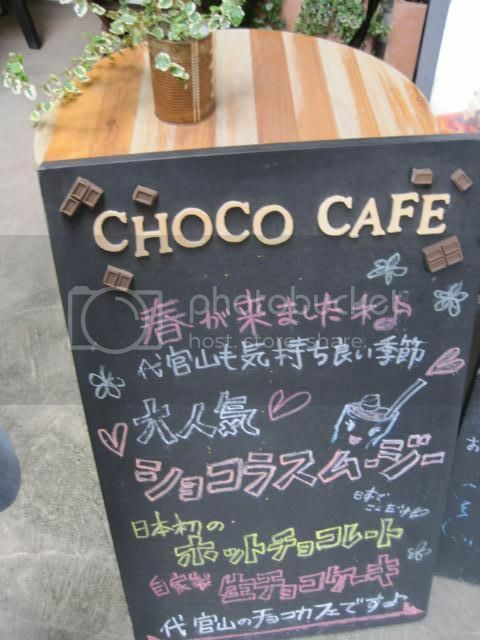 Maybe back to the chocolate cafe, maybe someplace new. 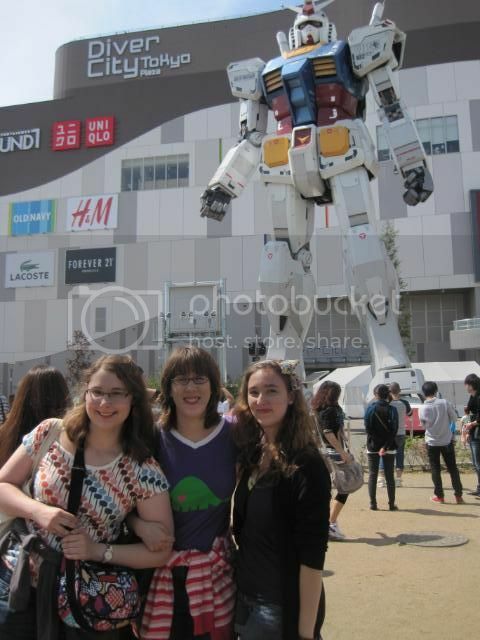 Next stop (I promise, the pandas are coming at the end), the giant Gundam statue in Odaiba. 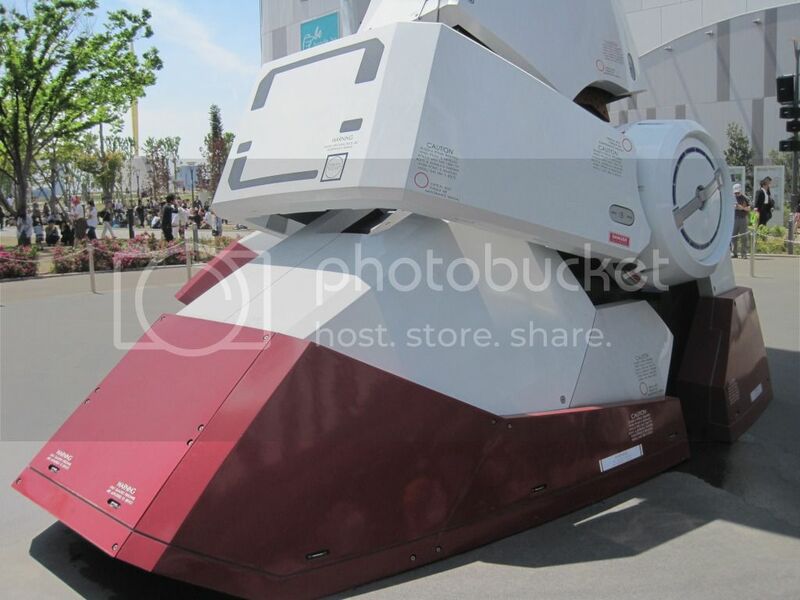 Detail shot of the Gundam's foot. 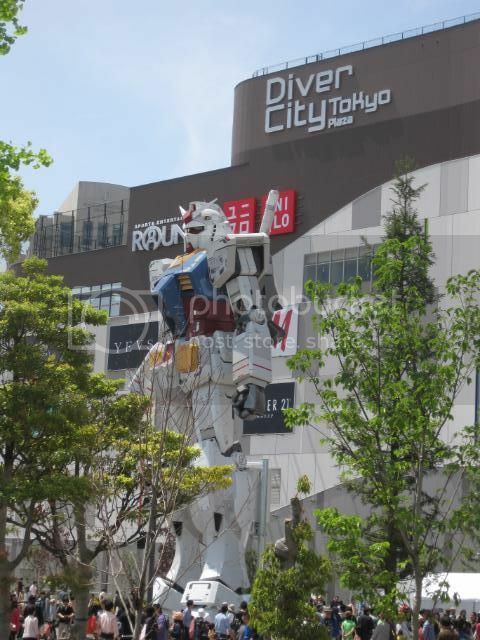 After seeing the Gundam, we attempted to explore some of the malls in Odaiba, but we didn't get very far because we couldn't stop eating (lunch turned into Auntie Anne's Pretzels) and then the boys we were with were like... so ridiculously chill that we never got anywhere. And we couldn't get them to stop talking about trading card games. So it was a lot later than we meant it to be when we finally got home. And it was Sunday. Whoops. 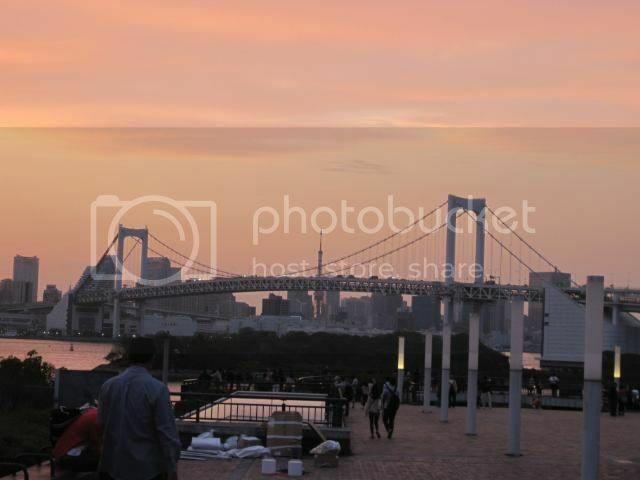 But we got to see a nice sunset behind rainbow bridge and check out the lights of Tokyo Tower from the Yurikamome line on the way home. And then we managed to find, from the Yurikamome line platform, what we're pretty sure is the cliche view of the Tokyo streetlights that you see all the time online but we couldn't find in real life. If you're ever going to Odaiba for some reason, you should take the Yurikamome line at least one way. I was turned off by how expensive it was compared to the subway, but it does a loop in the middle for some reason, so it's good for sightseeing. You can get a good look at Tokyo Tower and some cool skyscrapers and stuff. 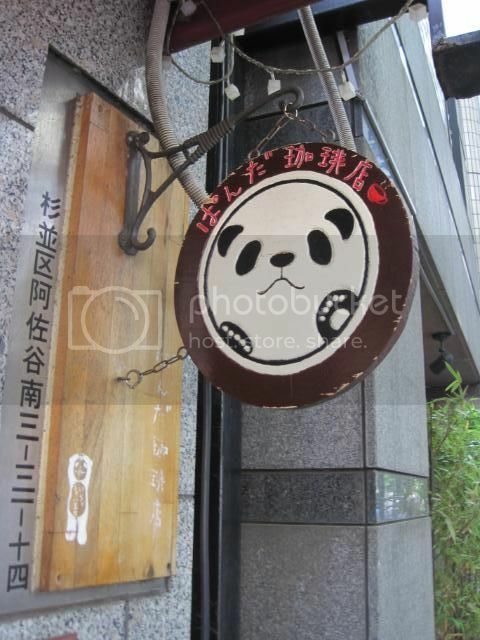 I bought a book of cafes in Tokyo, and one of the featured cafes was panda-themed! I didn't take a picture of the inside of the cafe because I already had it in my book but it was quite adorable and quite delicious. Cookies and cream ice cream! So that was last Thursday. 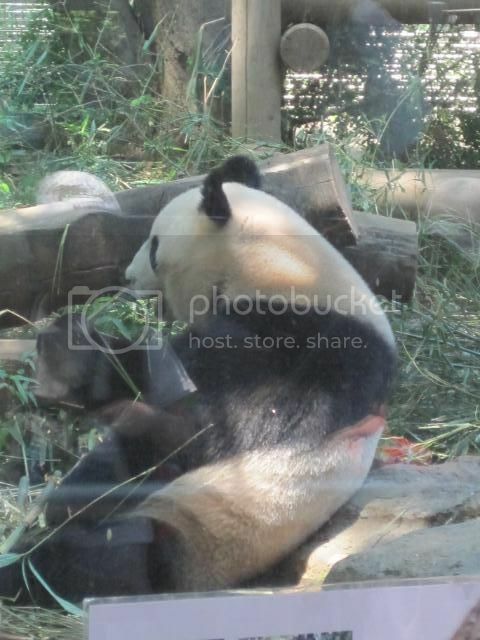 Then on Saturday my class was cancelled so I went to the Ueno Park Zoo with another friend, and we saw the real panda! And really cute elephants. And lots of other stuff. It was a really good zoo day somehow. 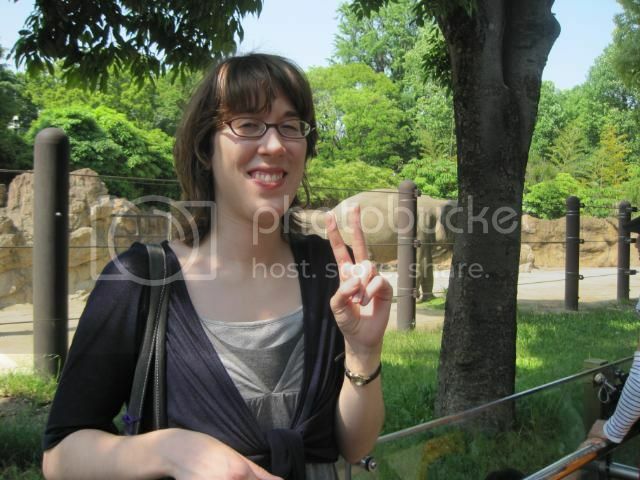 We got to see the zookeepers feed a lot of different animals, and they all seemed really active. The female panda! There's a male one too but he wasn't outside. 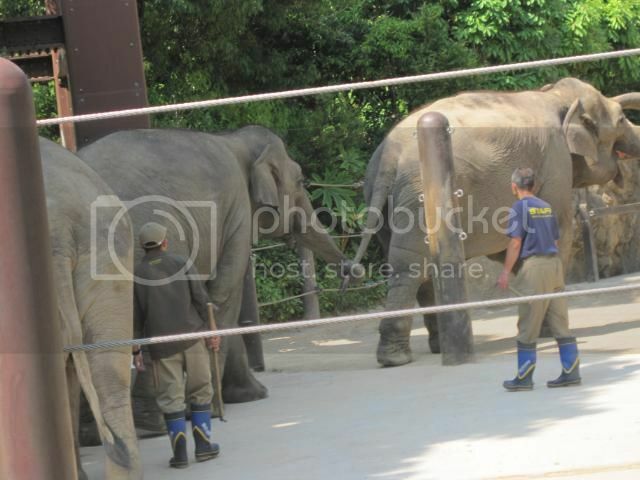 The zoo keepers encouraged the elephants to walk around the enclosure in a line like this and then gave them bananas. It was kinda expensive considering how much of it was ice but you live and learn, I guess. 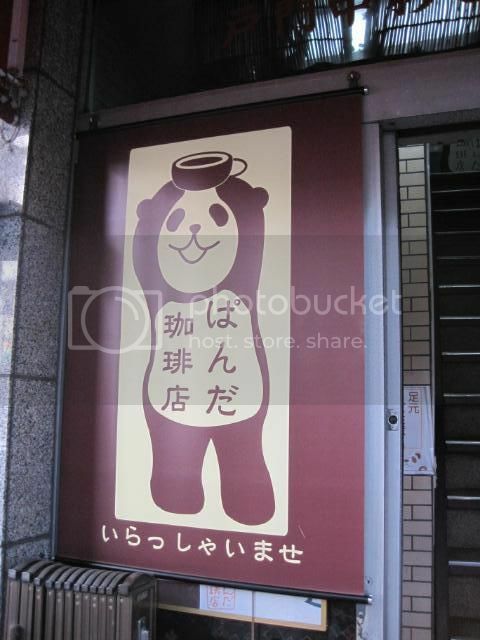 Now I don't have to be curious about that cafe anymore. Oh, and of course, it's not related to pandas or cafes, but on Monday there was a solar eclipse over Japan, and I bought the special reflective sunglasses and got to see it. I didn't take a picture or anything, but I woke up at 7 to go check it out and it was well worth it, standing in the driveway looking at the sun through the special glasses and taking a break every two minutes. The moon covered the sun so that it was a perfect ring. I think you could see the eclipse in California too, but I'm not sure. It was really cool to see. 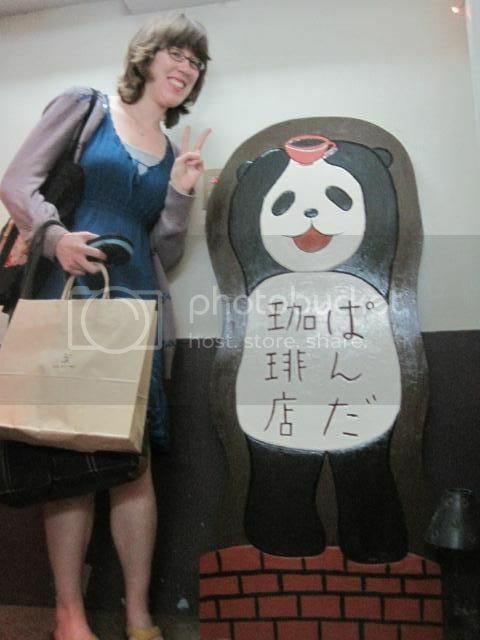 70 days left in Japan, counting today (and it's already 9pm so I suppose I should be done counting today). See you sooner than I can believe, America! I love your pictures and comments, but not as much as I love you! 69 more days til I get to see you! 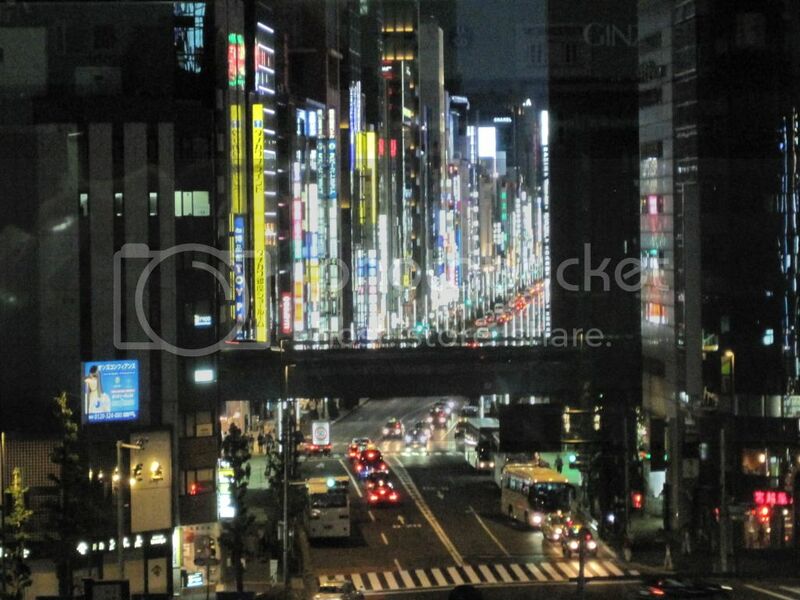 You're right about that Tokyo skyline picture, I have totally seen that online before! !